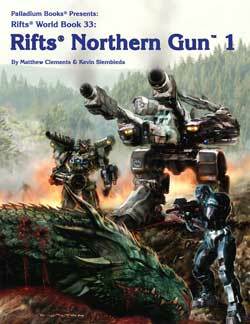 The Rifts Northern Gun™ ONE Megaverse Insider crowdfunding was another resounding success. As of today, 353 gamers have "officially" participated in the Rifts® Northern Gun™ ONE crowdfunding, totaling $27,030.00 in purchases. Wow. Thank you. That number may increase a bit as there were a handful of customers who tried to place an order but encountered difficulties. We have been contacting them via email and waiting to resolve any problems. We saw about 20 more participants in the Northern Gun™ Megaverse Insider crowdfunding than the Rifts® Lemuria offer, but there were fewer top dollar participants; understandable in this economy. My sincere and heartfelt thank you to EVERYONE who has participated in both crowdfunding offers. 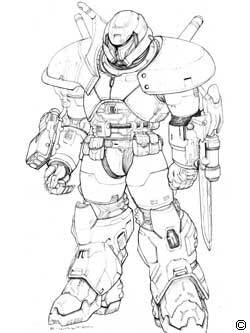 Your support is very appreciated and will help Palladium Books release new products, reduce debt and grow stronger! The Rifts® Northern Gun™ TWO Megaverse® Insider offer is scheduled to start July 12, 2012. It is the LAST crowdfunding for this year. As per many of your requests, Palladium is doing the Insider offer on the two related Northern Gun™ books as two separate crowdfunding offers a few weeks apart. New books are coming soon! Yes, I know we are off schedule on new releases, but we are working on FIVE of them for rapid-fire release, and man oh man, are we on fire. 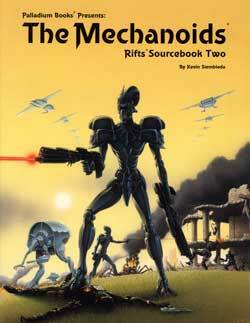 I’m simultaneously writing Rifts® Vampires Sourcebook and Rifts® Black Market, and making good progress on both. The next six books should come out in rapid succession. When I’m not writing myself, I’m assigning and coordinating artwork and having additional material written by freelancers for the titles above, plus other titles in the pipeline. 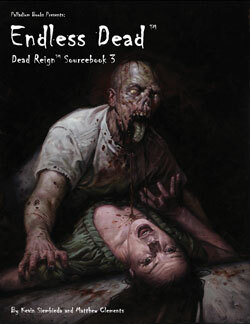 The writing on Rifts® Vampires Sourcebook is shaping up nicely, but a bit slower than I’d like. This is, in part, because I’ve been on fire this week working on Rifts® Black Market. I’m working on both titles simultaneously so I can release them a few weeks apart. A July release! I’m hot as heck on this title. 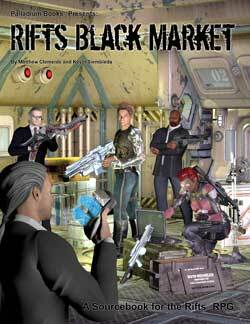 I have had Carmen Bellaire and Julius Rosenstein write some additional material for Rifts® Black Market and it is excellent. I also continue to assign artwork to various artists. Rifts® Black Market (like all the books in development) is packed with new data, weapons and information that will make your imaginations soar. A July release! 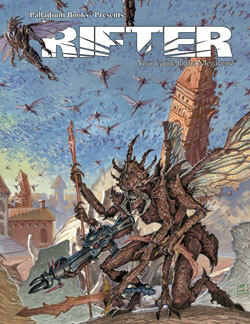 Alex has finished his editing of The Rifter® #59 and Wayne is in the last leg of the final editing. Artwork has been assigned, and the book should be going to the printer next week. It’s another great issue, with material for Splicers®, Rifts® Xiticix, Techno-Wizardry across the Megaverse®, the second half of the Kezel for Heroes Unlimited™ and more. See the full description for it elsewhere in this Weekly Update. A July release! We’ve been talking about this book for months, and the crowdsource funding for it was a big success. Chuck Walton continues to finish the artwork for it, I have Carl Gleba and Carmen Bellaire writing additional weapons and equipment, and the book is going to be epic. I’ll be seeing more finished artwork today or tomorrow when I have my weekly meeting with Chuck. John Zeleznik sent us the not quite finished cover to Northern Gun™ Two to make sure he was on track. Boy, is he ever. It is a wraparound cover depicting the Robot Arena at Northern Gun, and it is looking sweet. We should have the finished cover in a week or two. Northern Gun™ Two will be just as epic as Northern Gun One™. It too will be packed with weapons, armor and items that will make gamers squeal with delight, as well as filled with artwork by Chuck Walton and others. With the last leg of the Northern Gun ONE Megaverse® Insider crowdfunding offer running through Monday, sales have been fantastic. Even after the crowdfunding ended, sales have remained strong across all game lines. Outstanding. Please, keep ‘em coming. And don’t overlook the nifty bookmarks, Chi-Town Library pencils, T-shirts and mugs. Rifts® Lemuria and Endless Dead™, along with Rifts® titles, Heroes Unlimited™ and Palladium Fantasy® in general, are seeing a lot of interest. Robotech® too. I placed an order for the Rifts® dice bags – gold Rifts® logo on a quality black material – and they should be back in stock and ready to ship in a week or two. Many back issues of The Rifter® are available on DriveThruRPG.com (issues #1-52). 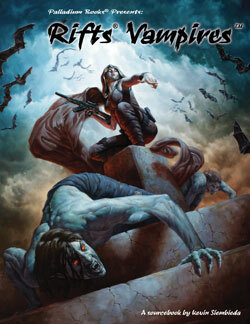 Sneak previews of the Rifts® Vampires Sourcebook and Rifts® Black Market should be coming soon. We plan to add a few more items in the coming months that should please Palladium gamers. We are also continuing to move forward with plans for the PDF only editions of The Rifter® #0.1 and The Rifter® #0.2 – both are big, juicy digital editions of new, fan created material for the Palladium Megaverse® of games. This week I have been consumed with writing so I have not made calls to the remaining Lemuria Insiders to whom I still owe a call. Likewise, I will call the new Northern Gun One folks at some point too. Let me get a book or two to the printer first. Thanks. YOU are not forgotten. ;) Keep the faith and game on! I truly look forward to chatting with you. Our focus for the next five weeks has to be finishing books and getting them to the printer. 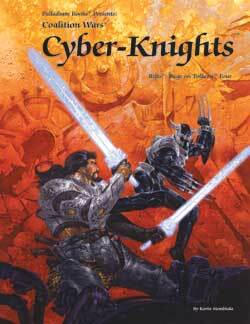 Then it’s Gen Con Indy for a week, and back to the grindstone to get more books finished. As I noted last week, there are a number of things going on behind the scenes that could lead to some big news. I’ll fill you in as soon as I can, but it might be a while. In the meantime, we are brimming with excitement about all kinds of new products and secret projects (a few that have been under development for a while) for release in 2013. Carl Gleba, Greg Diaczyk, Josh Sinsapaugh, Brandon Aten, Carmen Bellaire, Matthew Clements, Irvin Jackson and others are all working on one or more Palladium projects for the future. I need to stay focused on finishing the writing for Rifts® Vampires Sourcebook and Rifts® Black Market, so that’s it for this Update. Keep those imaginations burning bright and have a nice weekend.